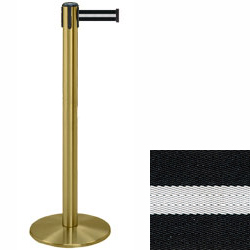 These brass stanchions with white stripe belt feature a 4-way adapter that allows them to connect to other posts. 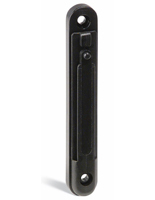 This makes the stands great for crowd control in bars, hotels, airports and other highly trafficked areas. The brass stanchions' band has a retractable design and a bright coloration that will alert patrons to wear the line starts. 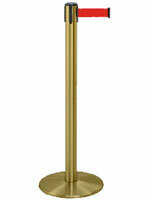 Alternatively, the crowd control fixtures for hotels and bars can be used to block off certain areas. 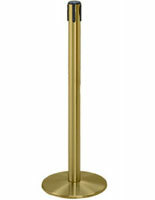 Each stanchion is 38" tall with a 13.5" diameter base while their retractable band measures 7.5' long and 2" wide.